Lynne Crandall's psychic astrology consultation can help you realize your highest potential, make the best decisions, and reach the promise of your destiny. 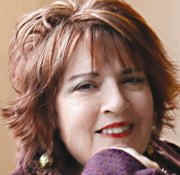 Lynne is a psychic astrologer who uses natural perfumes and flower remedy blends by request. Aromatherapy/Artisan Botanical Perfumes & Essential Oil Services available with or without astrology/tarot services (prices vary).